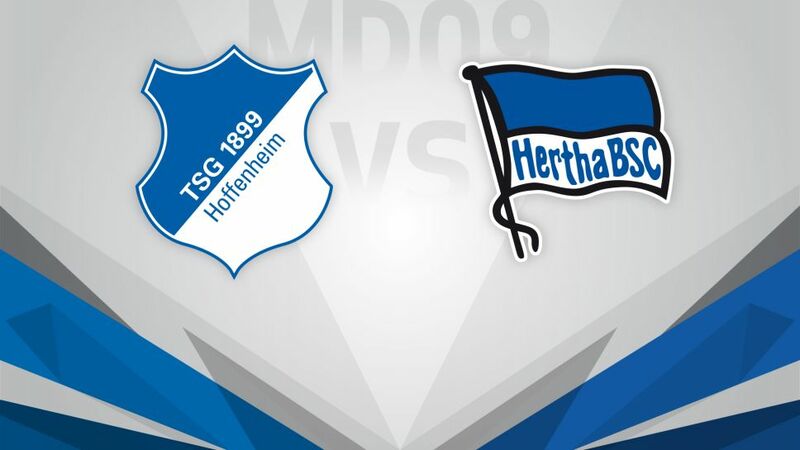 High-flying TSG 1899 Hoffenheim and Hertha Berlin meet this Sunday (kick-off 15:30CET/14:30GMT) with the hosts hoping to remain unbeaten and leapfrog their guests with a win. Julian Nagelsmann's Hoffenheim are one of just three sides still without a loss this season, and Matchday 8's 3-0 win at Bayer 04 Leverkusen was an emphatic show of muscle. Having passed that test with flying colours, the south-western outfit will be keen to deliver more positive answers and keep their momentum going. Hertha may have been beaten once – by FC Bayern München – yet they lead their hosts by a point, having won five of their eight games so far this season. Pal Dardai's men underlined their credentials by ending 1. FC Köln's unbeaten start to the season last weekend, a week after emerging from Dortmund unscathed. With such results, they will have no fears in Sinsheim this Sunday.